Researchers have long established that breastfeeding is beneficial for a baby. But, according to new research, breastfeeding may also serve as a time in which a mother’s body resets, and her metabolic system comes back in line with having to feed only for one. This transitional period may be tied to a lowered risk of heart disease for mom, too. Researchers recruited 500,000 Chinese women for a large, population-based study. Participants were aged between 30 and 79 years and from diverse regions of the country. During an eight-year period, the researchers identified 16,671 cases of heart disease and 23,983 cases of stroke among 289,573 mothers who were without heart disease at the start of the study. 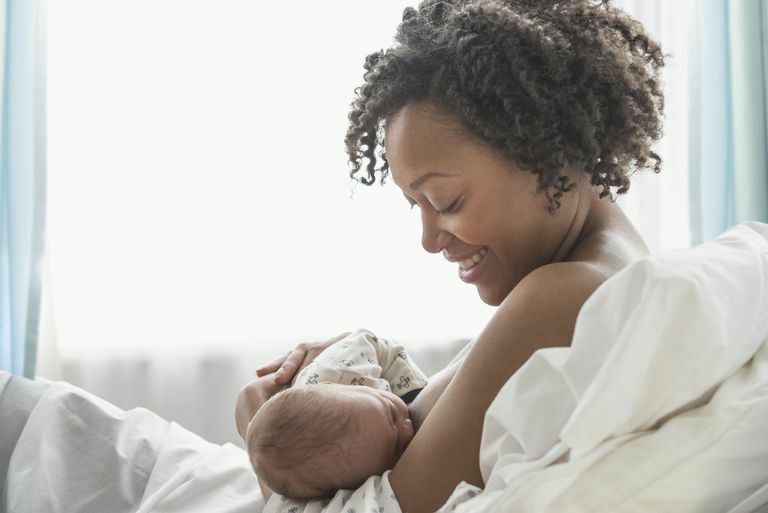 Compared with mothers who had never before breastfed, women who breastfed experienced a 10 percent decrease in all major types of coronary heart disease, except for hemorrhagic stroke. And this effect increased the longer a woman breastfed. Of note, high blood pressure, obesity, diabetes, exercise, age, smoking, and high blood pressure were all controlled for by the researchers. In other words, to figure out the exact effects of breastfeeding, the researchers’ results discounted things that are known to increase one's risk for heart disease. For every additional six months after 24 months of breastfeeding, the risk of heart disease decreased by four percent. Previous research about the risk of heart disease among Western mothers who breastfeed has been mixed. For instance, one study, published in the American Journal of Obstetrics & Gynecology, followed 89,326 American mothers and found that breastfeeding only reduces risk for heart disease in people who have been breastfeeding for two or more years—something American women rarely do. More specifically, mothers who had breastfed for two-plus years had a 23 percent reduced risk of heart disease than that of mothers who hadn’t breastfeed. While pregnant, a woman's body makes food for two: mom and baby. These increased metabolic needs are met by weight gain, insulin resistance, and higher levels of cholesterol in the blood. Breastfeeding may facilitate the transition between the hypermetabolic state of pregnancy and lowered energy needs after delivery. During pregnancy, a mother’s body stores fat to meet the nutritional needs of an additional passenger. Breastfeeding could help eliminate this stored fat more effectively and efficiently. Previous studies have shown that mothers who breastfeed have more favorable cardiometabolic profiles than mothers who don’t, including lower cholesterol levels, increased weight loss, and decreased blood pressure. Breastfeeding for a longer time is also linked to a lower risk for metabolic syndrome, diabetes, and hypertension. "Our study was not designed to prove cause and effect. However, if they are causal, the health benefits to the mother from breastfeeding may be explained by a faster “reset” of the mother’s metabolism after pregnancy. Pregnancy causes major changes to a woman’s metabolism as she stores fat to provide the energy necessary for her baby’s growth and for breastfeeding once the baby is born. Breastfeeding could eliminate the stored fat faster and more completely. However, women who breastfeed may also be more likely to engage in other beneficial health behaviors than women who do not breastfeed." Because women who breastfeed in China mostly come from medically underserved areas, the researchers believe it’s unlikely that they would proactively engage in several other healthy behaviors—unlike their American confederates. In other words, an American mother who breastfeeds for a substantial period of time will likely be health conscience and do it because this activity is perceived as healthier for the baby. This same American breastfeeding mother would also likely be health conscious and do other healthy things, like exercise regularly, eat a healthy diet, and abstain from smoking. In China, however, women who breastfeed are from rural areas and make the decision merely because it’s cheaper and is widely practiced in their society, not because they are particularly health conscious. Lindemann, K. Mothers who breastfeed may be less likely to suffer from heart disease and stroke later in life. ResearchGate. June 21. 2017. Peters, SAE, et al. Breastfeeding and the Risk of Maternal Cardiovascular Disease: A Prospective Study of 300 000 Chinese Women. Journal of the American Heart Association. 2017;6. Stuebe, AM, et al. Duration of lactation and incidence of myocardial infarction in middle-to-late adulthood. Am J Obstet Gynecol. 2009 Feb; 200(2): 138.e1–138.e8. Can You Eat Garlic If You Are Breastfeeding?